Everyone loves dragons. The Hobbit’s dragon. Skyrim’s dragons. Pete’s dragon. And, of course, Game of Thrones’ dragons. Dragons sell. So it’s no wonder that Brewery Ommegang and HBO put the three dragons on the show — Drogon, Rhaegal and Viserion — front and center on the latest collaboration: Fire and Blood Red Ale. 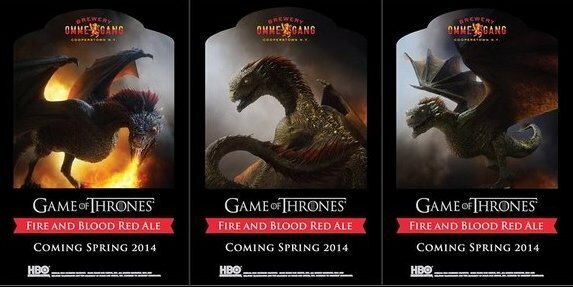 The ale will release in the run-up to the show’s return to air in spring 2014 and feature a series of labels, one for each of the three dragons. Who is your favorite dragon? I have to go with Drogon. Fire and Blood follows Iron Throne Blonde Ale and Take the Black Stout in the popular and unique partnership between the network and Brewery Ommegang. The first beer in the series, Iron Throne, flew off retail shelves and poured through tap spigots at an unheard of pace, leading to two additional brews. Just released, Take the Black is enjoying similar success as fans of great beer are getting into stores early to ensure they don’t miss out. Timed for the launch of Season 4, Ommegang’s Fire and Blood is sure to find interest at a feverish pitch. 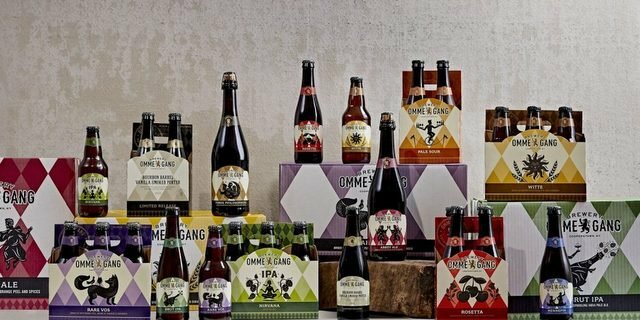 “Our partnership with Brewery Ommegang has been a huge success, and we look forward to Fire and Blood being the hottest entry yet,” said Josh Goodstadt, director of HBO global licensing. Fire and Blood Red Ale is brewed with pilsner, spelt, rye and other specialty malts. It’s hopped with Styrian Golding and German Tettnang hops and spiced with ancho chilies for additional complexity. The hue is deep, dark red with a persistent, creamy, off-white head. Aromas include ripe fruit, raisins, slight spice and malt, with a slight floral, spicy hop character. Taste includes fruit with sweet malt character that gives way to faint dryness. The sweet malt is balanced by spicy rye and hop characters with an underlying raisin and prune note. The finish offers balanced malt and spicy characters from hops and rye.